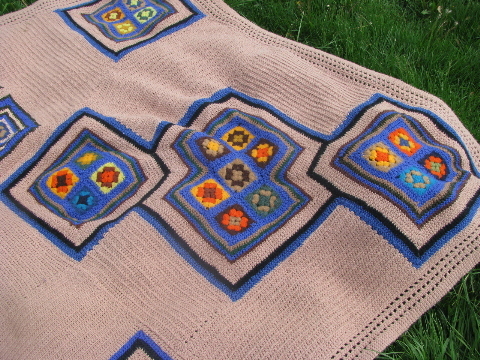 Retro 60s crocheted afghan blanket, with felted wool granny squares, set in a background of acrylic yarns. This would be machine washable, since the wool is already felted and fuzzy. 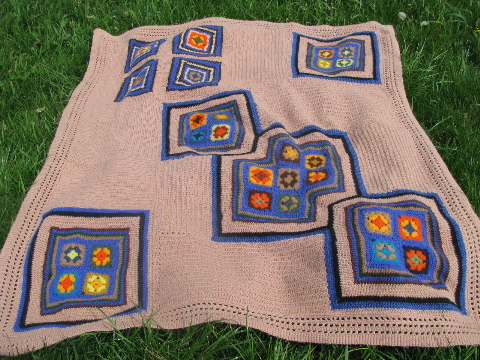 The blanket measures 72" x 68" overall. 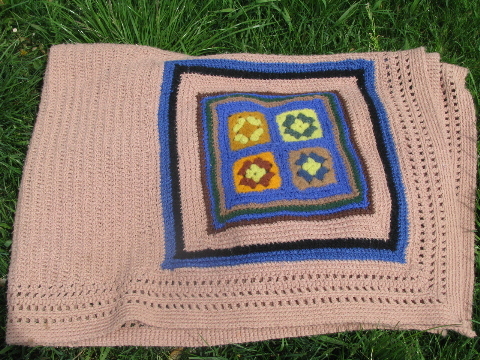 There&apos;s a small hole at a join between the yarns, but overall this is in very good condition.